The sedition case involving some students of Jawaharlal Nehru University (JNU) is exhaustive, involving many accused, witnesses and hence the matter is taking time, the Rajya Sabha was informed on Wednesday. Union Minister of State for Home Hansraj Ahir said the Delhi Police has filed a charge sheet in the case registered with the Vasant Kunj (North) in Delhi under sections 124-A/147/149/120-B/34 of IPC against some students and leaders of JNU in the Court of Metropolitan Magistrate on January 14, 2019. "As reported by Delhi Police, the investigation was exhaustive, involving many accused/suspects, exhibits and witnesses, and hence, the time taken," he said replying to a written question on whether it is a fact that the Delhi Police has filed a charge sheet against JNU student leaders for sedition. 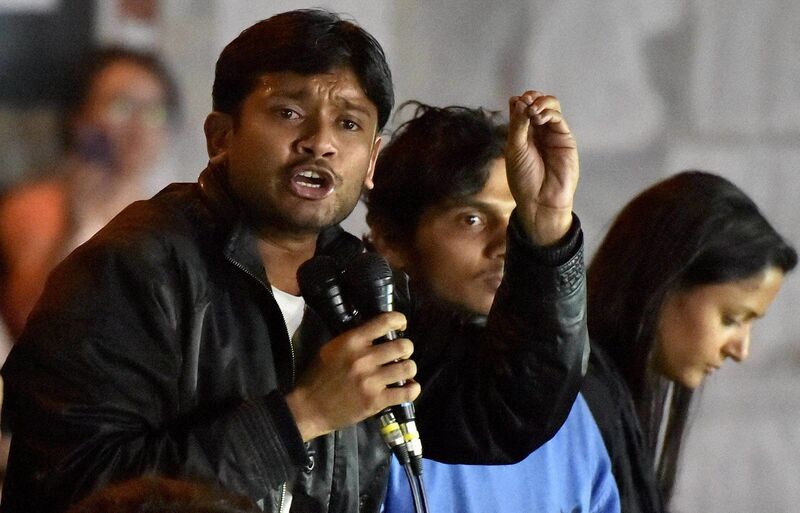 The police also charged former JNU students Umar Khalid and Anirban Bhattacharya for allegedly shouting anti-India slogans during an event on the university campus on February 9, 2016, to commemorate the hanging of Parliament-attack mastermind Afzal Guru. Metropolitan Magistrate Sumit Anand put up the charge sheet for consideration before a competent court on Tuesday. The accused have been charged with offenses under sections 124A (sedition), 323 (punishment for voluntarily causing hurt), 465 (punishment for forgery), 471 (using as genuine a forged document or electronic record), 143 (punishment for being a member of an unlawful assembly), 149 (being a member of an unlawful assembly), 147 (punishment for rioting) and 120B (criminal conspiracy) of the Indian Penal Code (IPC). The said event had taken place despite the university administration canceling the permission, following a complaint from the ABVP, which had termed it as "anti-national".